As we age, hair loses some of its thickness and volume, but if you want fuller looking hair you don't need to succumb to the tyranny of this cold, hard fact of follicular life. There are many hacks, haircuts, products, tips, and tricks that can help you boost the fullness and thickness of your hair. Your hair will look naturally voluminous and lively if you follow any of these expert suggestions that best fit your hair type, style, or situation. 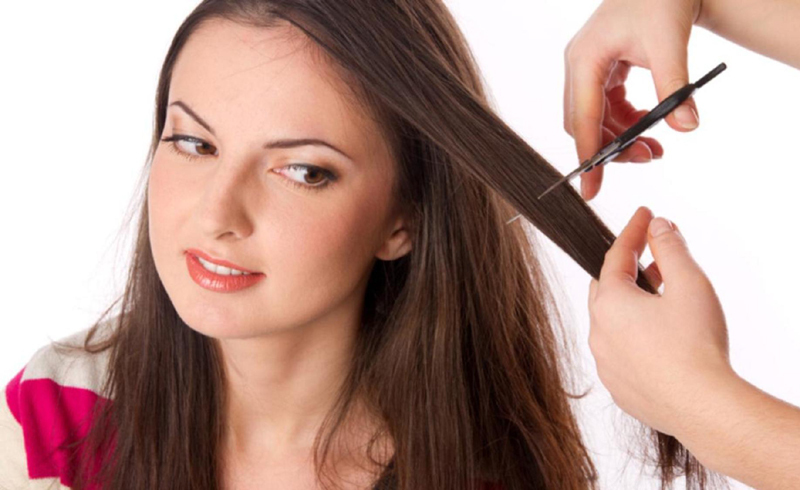 The golden rule of healthy hair is regular trims, which boosts fullness. However, Sarah Rappolt, stylist and Director of Education at Michael Angelo's Wonderland Beauty Parlor, stresses that while a good cut is essential, the maintenance of said cut is even more important for fuller looking hair. "People tend to stretch time between haircuts because of their busy schedules and lifestyles," Rappolt told me. "When layers grow out and ends get split and limp, we sacrifice body and fullness." Mio Sota of Trio Salon in Chicago declares that "a great, even haircut" is crucial and the cornerstone of full hair. If a cut is bunk and you don't tend to it, "you'll be spending more time trying to style it to look decent, rather than spending the time to add volume," Sota explained. Therefore, a trim every six to eight weeks is recommended by Rappolt to "keep your hair looking fresh, bouncy, and full." Los Angeles-based celebrity hairstylist Laurie Heaps has a go-to cut for adding volume. It's mid-length, with a critically important twist. "When this style is cut with a blunt bottom, hair is going to appear thicker and fuller," Heaps told me. "The weight from long hair is removed, but the cut is still long enough, especially if you are not ready for a super short cut." With this style, you can have the best of both worlds — length and thickness. Length is often equated with fullness, but shorter cuts like bobs and lobs (long bobs) allow for a fullness, according to Rappolt. "These lengths are great for volume and body because they sit nicely around the collarbone and shoulder area," she explained. There's an added bonus, too! Rappolt shared, "As the haircut grows, the shoulder naturally pushes the hair up for more fullness and volume." How's that for a natural way to add some thickness? Plus, you avoid that awkward and annoying growing out phase! While super short hair may seem counterintuitive to fullness and volume, Alex Kantor, a hairstylist and barber for 14 years with fine hair of her own, dispels the notion. "Keep it short," she declared. "The idea that your hair will appear fuller if it's longer is a total myth." Coby Alcantar of Oribe agreed, saying, "Removing hair may seem contradictory for finer hair, but carefully (read: barely) done, it can help the hair move, which can appear fuller." To achieve this look, ask your stylist to remove internal weight to increase fullness. "Creating an 'inner layer' or a support system for the length that is left to rest on can help add volume and depth," Alcantar explained. Layers are an easy way to get fullness, if you follow these golden rules. Celebrity hairstylist Angelo David Pisacreta is an expert in thinning hair who suggests asking your stylist for "a cut with few layers to add volume, as it will appear a little thicker." He also has some bad news for long-haired girls, saying, "As much as you love long hair, if it's thin, long is not the best cut or style for you." Instead, interspersing layers throughout should do the trick to increase the look of lush, thick locks. Rappolt agreed, saying, "To get more body and fullness with long locks, it's important to have layers." 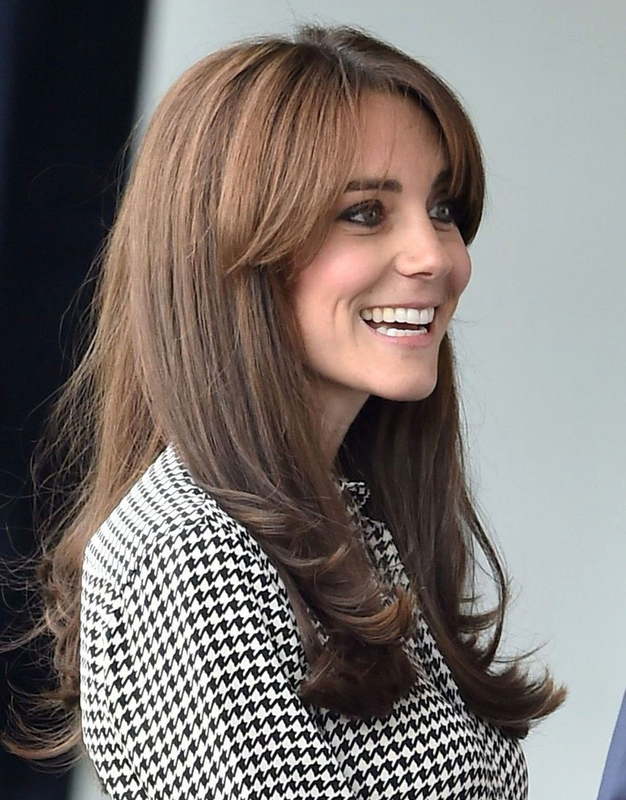 Kantor explained that fine hair cut in all one length "will fall flat and lose life," but cautions that when "adding layers, don't go crazy short or choppy because fine hair can't hold that shape." Crimped hair was huge in the '80s, as the heat styling tool imprinted a zig zag pattern into hair. Many stylists suggest crimping hair at the roots to create the illusion of fullness, but in a twist — you actually hide your handiwork. It's about the root lift provided by the crimper, not the pattern. Christy Stewart, stylist and owner of CRS Hair Design, uses a texture iron, telling me, "It's basically like an old-school crimping iron." She suggests sectioning off your hair at the part, clipping it out of the way, and then crimping the hair that's underneath at the root. Release the hair that's been clipped and cover up the hair you crimped. "This technique adds texture and helps give tons of volume," she said. Sheenon Olson, celebrity stylist at ATMA Beauty in Miami, also advocates crimping for fullness. He encourages using a micro crimping iron, telling me, "You can use this iron to crimp the first two to three inches of your hair — typically in the crown area — and then hide the crimping with a thin veil of hair." 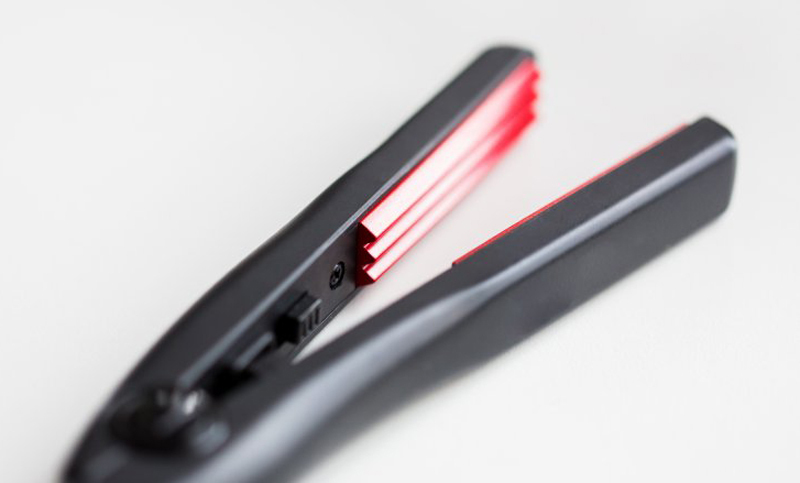 Who knew the crimping iron could be such a secret weapon?! 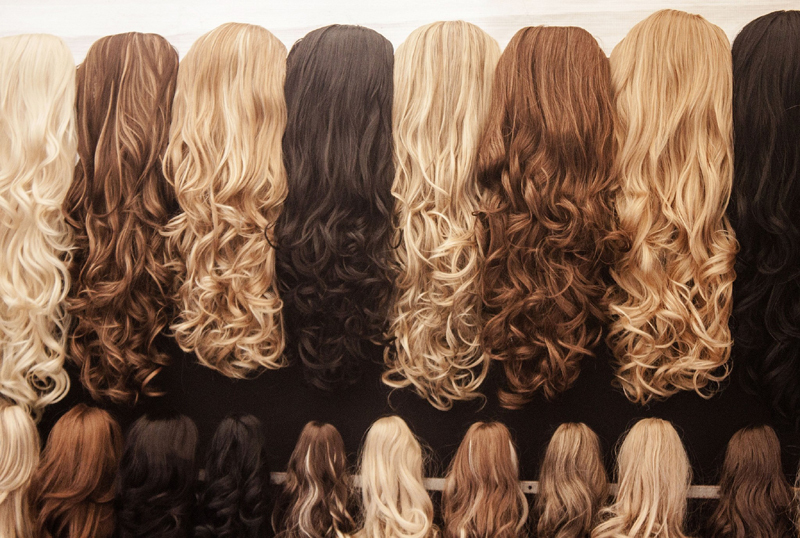 If you have fine hair, "you can add lots of body with soft waves," according to Heaps. Loose waves are easily created with a curling iron or by sleeping with your hair fastened in loose, thick braids, which you eventually shake out in the morning and further texturize with a sea salt spray. You can sleep with damp or dry braids, as well. These style tricks require minimal to no commitment, as well as little effort or spend on additional product. Heaps also suggests the easiest styling tip to create the look of fullness. "Take a mini round brush to damp hair and use a lifting motion around the root area," she explained. "The heat from your dryer, paired with a thermal spray, will ensure a hold with height that isn't sticky or overly stiff." It's the perfect mix of product, tools, and wrist motion skill and it's incredibly cheap to accomplish. You also enjoy a '60s-inspired, fullness-at-the-crown aesthetic. 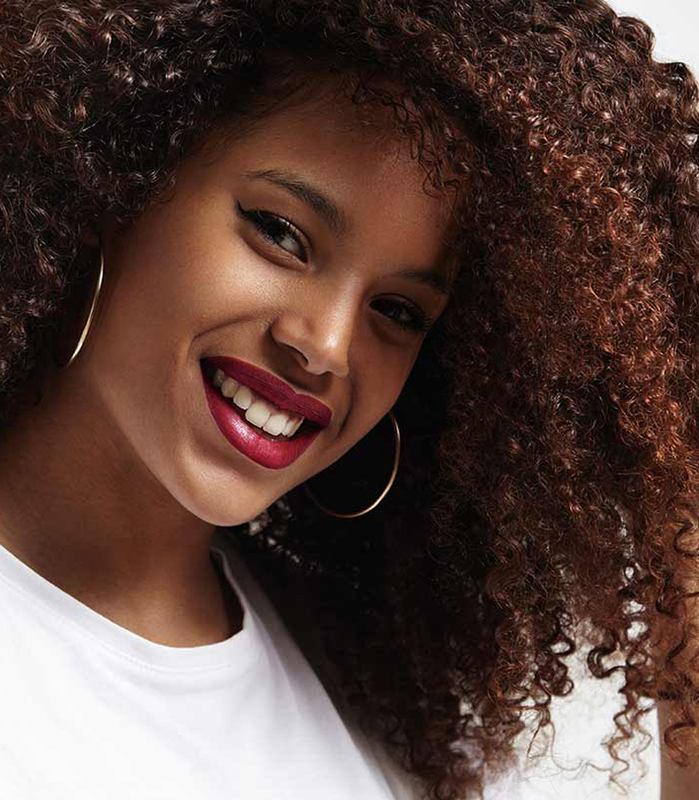 Speaking of products, the way that you apply them to your specific hair type, be it thick, curly, straight, or fine, will also assist in your efforts to make your hair look thicker. Less is definitely more when seeking fullness and it may require that you experiment with different products until you the combo that works best for you, so be patient. "For example, with mousse, a golf ball-sized amount is ideal for regular hair," Heaps shared. "Girls with fine hair should use slightly less product to ensure it is not weighed down." 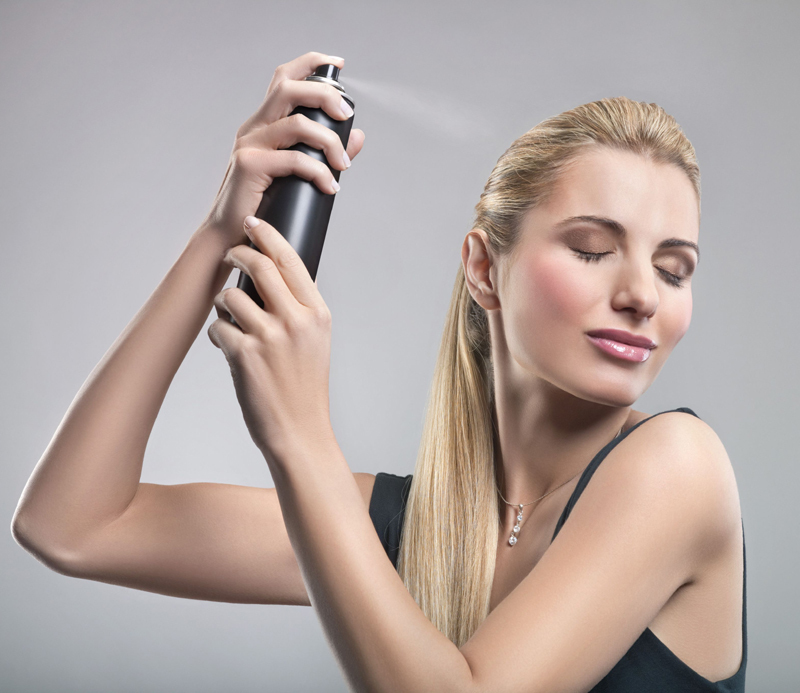 In recent years, dry shampoo has become one of the most popular styling products on the market. Brands line shelves with different formulations and fragrances meant to keep your hair fresh, clean, and to zap excess oil, which can weigh strands down in between washes. Karen Gordon, owner of J. Gordon Designs in Chicago, told me, "If you have fine, silky hair that never seems to have enough volume, tip your head upside down and spritz a some dry shampoo all over at the roots. Flip your head back and voila! You'll notice a whole lot more volume." This one's really simple: always keep your hair clean. Not just for general hygiene purposes, but dirty hair is really obvious and goes limp. "When hair starts to look greasy, it will also start to look thin," Martial Vivot of Martial Vivot Salon Pour Hommes told me. Plus, product residue also adds weight and makes hair flat, which is the opposite of what you are seeking. While some stylists recommend washing hair every other day, if you seek thickness, it's best to wash daily or as regularly as possible. It's also crucial to blow dry your strands all the way through, no matter their length or texture, according to Vivot. "The wetter it looks, the thinner it looks," he explained. 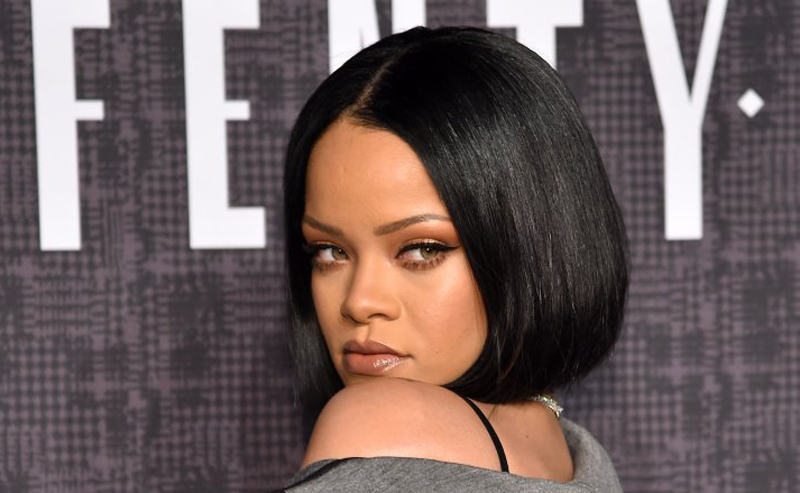 Further to this point, he also recommends using styling products with a dry or a matte finish, rather than ones with a wet or glossy sheen for the same reason. Leah Taylor of Smoke and Mirrors Salon in Baltimore suggests a simple hack before blow drying and before using styling products — gently and partially towel dry hair first. The technique "allows the hair to truly accept their styling product and work with their hair rather than simply weighing it down," she explained. Product works best in slightly damp hair and is not as effective "if left on the outside of the hair shaft, since it will further flatten fine hair." 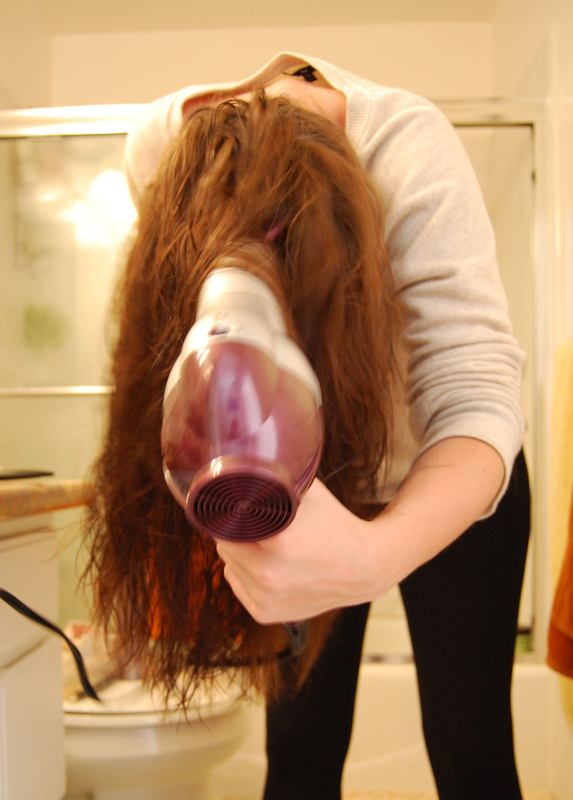 Bend over at the hips and blow dry your hair upside down for some easy and additional fullness. Jerome Lordet, master stylist at Pierre Michel Salon, told me to try "using only your fingers with the head upside down, pulling on the roots to give more volume. Finish with round brush to smooth or wave your hair." Lordet also suggests going "against the natural growth pattern of the roots of the hair using hot air followed by cold air to set the style and give fullness." There is no shame in embracing additional hair that's not naturally yours in the form of wigs, hair pieces, extensions, and clip-ins. These tools all "play a role in creating fuller hair" and "depending on the which method is appropriate for your situation, they will add volume, body, length, confidence, and a polished look," said Pisacreta. Stewart asserts that extensions aren't just a tool to increase length. "I am a Natural Beaded Rows (NBR) certified stylist," she explained. "NBR is the most natural and the least damaging extension method out there. There's no tape or sticky glue and minimal points of contact on the hair. It's ideal for people who have fine, limp hair that want more volume." Extensions are also ace since they cut down on styling time. Win-win! "A deep side part can make hair appear fuller and adds drama and edge to your look," explained Leo Izquierdo, co-founder of IGK Hair Care. Flip through the pages of any fashion mag and you will see Taylor Swift, Rihanna, and Selena Gomez rocking deep side parts. It's an easy way to change up your look without having to go under the scissors and properly done side part doesn't look obvious. Parts are really critical when it comes to helping hair appear full. But having your part extend to the back of your head is a no no! "This makes your hair look really flat," says Rappolt. "Only part what would be the bang section or the first two inches back from your hairline." For added fullness, finish your style with some dry texturizing spray spritz on roots, according to Sota. "Let the product sit for a minute," she said. "Then take your fingers and really work them into the roots. This will give tons of grit to the hair and help make the hair stand at the roots." Molly Weinreb, a stylist at Blackstones Salon, recommends using a texture spray beyond the roots so all of your hair is fuller. "Experiment and spritz some through your hair and shake it out using your hands to distribute the product through your hair," she raved. "This is great for all over volume." If you're looking for fuller looking hair, it's also important to know what you are putting in it. There can be lots of stuff in the product recipe that leads to limp locks. "Pay attention to Ingredients from shampoo to styling goop," warned Kantor. 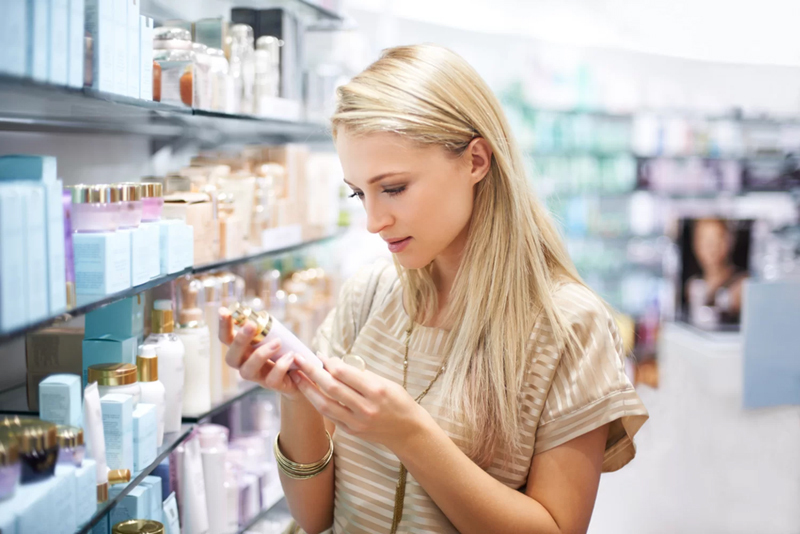 "Stay away from harsh, synthetic stuff like sulfates and parabens." She explained that stuff weighs follicles down, which is the reverse of the fullness you are trying to achieve. Therefore, you should take some time to educate yourself about the ingredients in styling products because knowledge is styling power!